The recent protests in Iran could possibly affect President’s Trump’s decision on the Iranian nuclear deal and worsen the economic problems in the country. The protesters were angry about the economic issues the country has been facing for the past decade. According to NBC, the unemployment rate is at 12.7 percent and inflation is up to 10 percent. 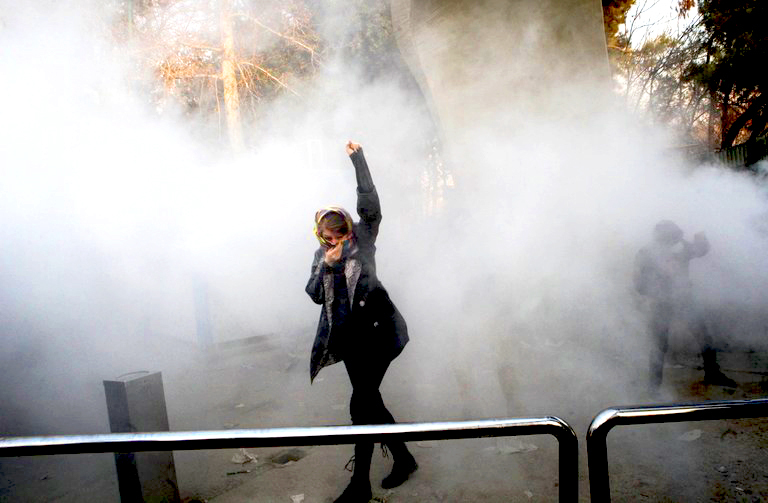 This is the third large protest Iran has faced in the past three decades. The New York Times reported, “In July 1999, the peaceful protest of students over freedom of speech spread into a considerable uprising. In June 2009, people took to streets to demand a recount of disputed votes in the presidential election, which began the Green Movement. Those were both pushes for civil rights, demanding more flexibility and accountability from the government.” The 1990s were also plagued with riots over inflation in Islamshahr and Mashhad. In January, President Donald Trump will have to make a decision on whether or not to keep the Iran nuclear deal or place sanctions back on Tehran. During his campaign, Trump promised to overturn the deal and in light of the protests, he might do so. However, this could have adverse effects for the Iranian people. According to the BBC, the last sanctions placed on Iran caused the household budget in Iran to drop from $14,800 in 2007-08 to $12,515 in 2016-17. The figure is even larger for middle class families. They added that since 2009, the Iranian economy has suffered sluggish, or even negative growth, leading to stagnating wages and soaring unemployment. New sanctions could possibly have the same effects. Politico reported that the European Union is against Trump backing out of the deal and have told Trump that it is best for him to honor the pact.